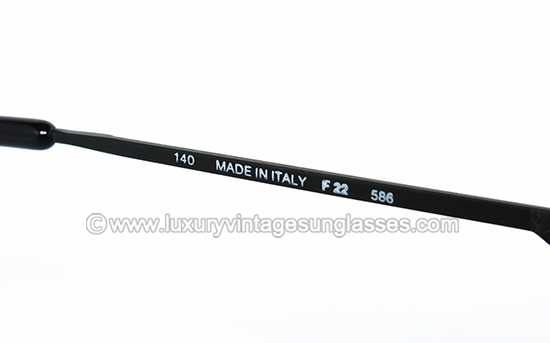 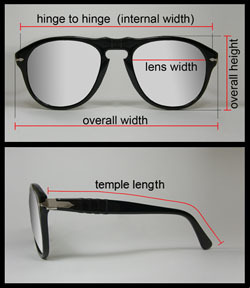 New Old Stock vintage sunglasses Ferrari F-22 col. 586. 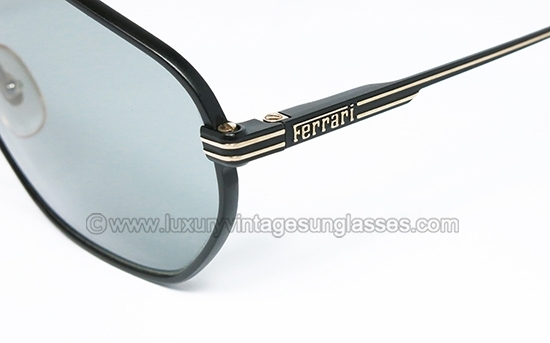 Really massive aviator sunglasses with amazing details by FERRARI-Italy 1991. 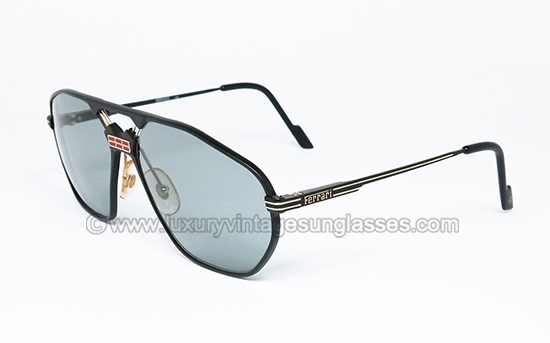 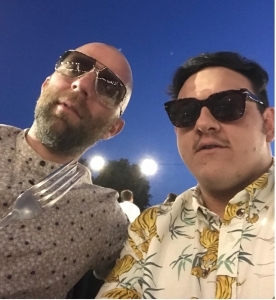 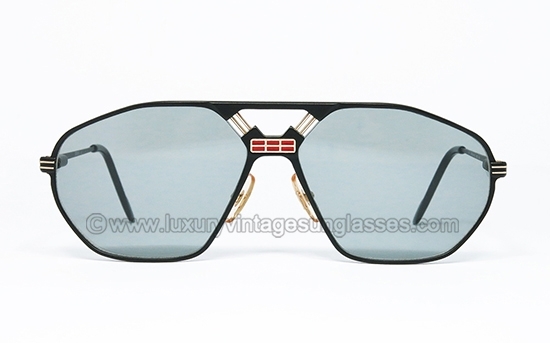 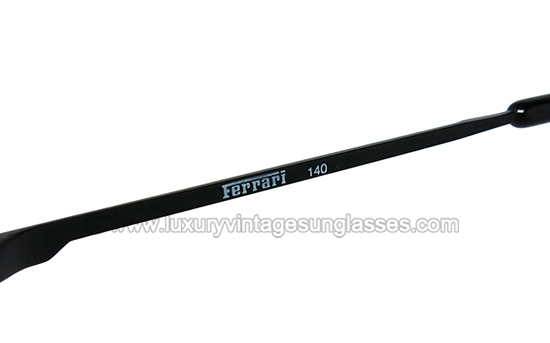 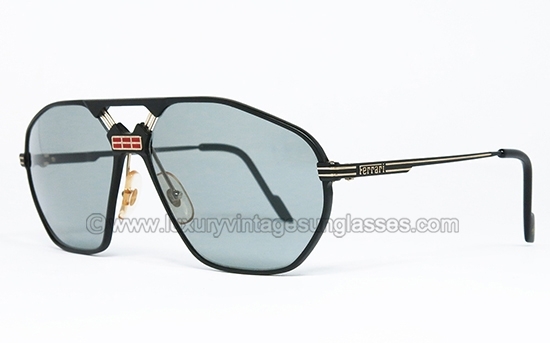 Ferrari F-22 col. 586: Original Vintage Sunglasses made in Italy by FERRARI 1991.
to create this eyewear, FERRARI Laboratories employed nine different materials. 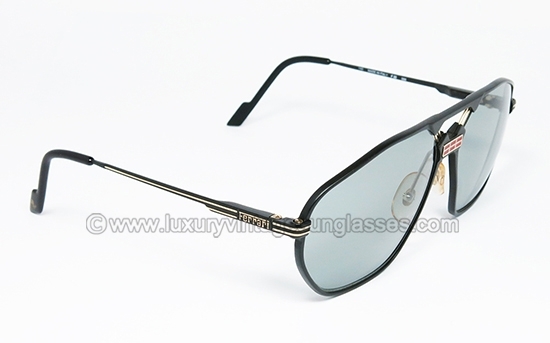 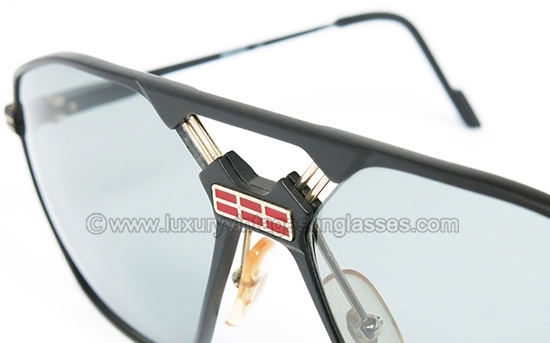 -Glossy Black temple tips with exclusive design and Golden "Prancing Horse"